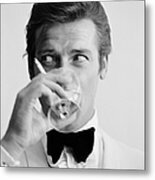 Shaken Not Stirred by Peter Ruck - 8.000" x 7.875"
Shaken Not Stirred framed print by Peter Ruck. Bring your print to life with hundreds of different frame and mat combinations. Our framed prints are assembled, packaged, and shipped by our expert framing staff and delivered "ready to hang" with pre-attached hanging wire, mounting hooks, and nails. 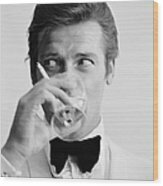 There are no comments for Shaken Not Stirred. Click here to post the first comment. 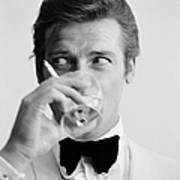 English actor Roger Moore, downs a Martini, 17th July 1968. Moore has recently been awarded his second Bravo Otto award for most popular television actor, by German magazine Bravo, for his mystery spy thriller television series, 'The Saint'. (Photo by Peter Ruck/BIPs/Getty Images)Image provided by Getty Images.